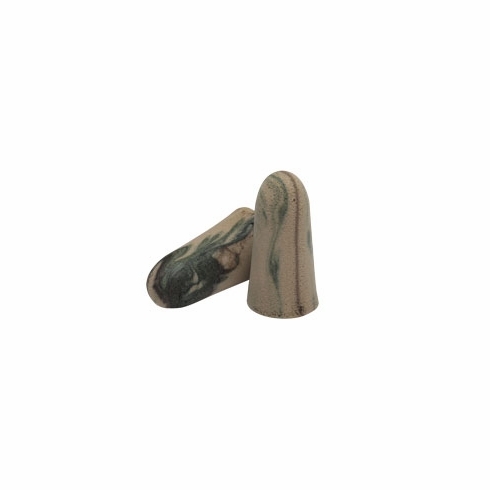 Moldex 6608 Camo Ear Plugs®, Un-Corded 100 pairs per BoxMoldex, Camo Plugs®, Un-Corded 100 pairs per Box, Item # 6608, Camo Plugs® are made of extra-soft, extra light foam. Their tapered shape fits easily in the ear canal and seals gently and snugly without pressure. - Highest Independently tested NRR 33. - Extra-soft, low-pressure foam for comfort and fit. - Tapered shape for easy insertion and removal. - Shaped to fit even very small ear canals. - Look for the exclusive colored streaks and swirls as a symbol of Moldex quality.